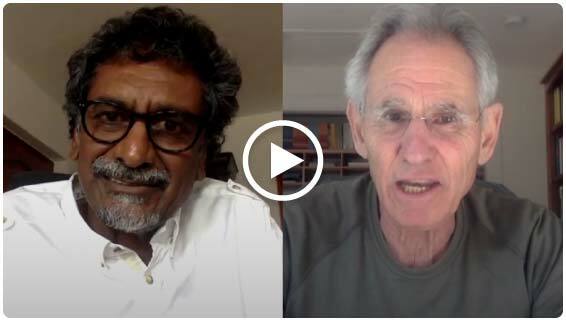 Our keynote speakers, Jon Kabat-Zinn and Jay Naidoo discuss the significance of The Mindfulness Conference 2019 and the importance of adding your voice to the dialogue. Being together at the Mindfulness Conference in March is a unique opportunity to learn with and from each other as well as to connect with friends and colleagues. Each person attending brings a unique perspective, adding texture to the broader conversation of how mindfulness approaches can serve the health and well-being of our country, the region and beyond. Blending modern science with ancient wisdom is the heartbeat of the contemporary approach to mindfulness and the particular ways this is grounded and is expressed in an African context, is the guiding vision for this conference. What can we learn from the collective wisdom of the incredible list of local and international speakers and delegates that can expand our view of the challenges we face? How does mindfulness and compassion broaden our perspectives on what is possible and skillful in addressing these challenges? Join the gathering to be a part of the emerging wisdom in the exquisite space at Maropeng in the Cradle of Humankind.